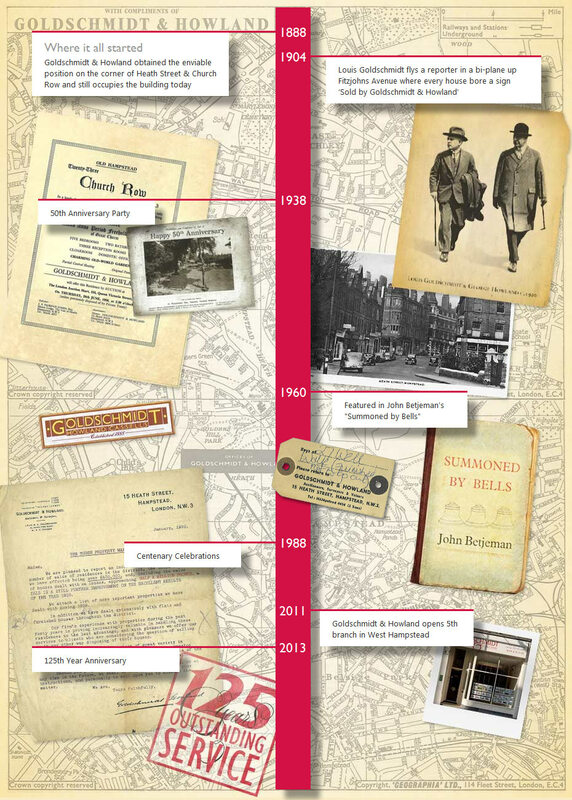 Goldschmidt & Howland, founded in 1894 are North West London's premier estate agent and for a company with such a long history, their attitudes and tastes are surprisingly modern. Goldschmidt & Howland approached Stepto & Son Design to redesign their ten year old website. 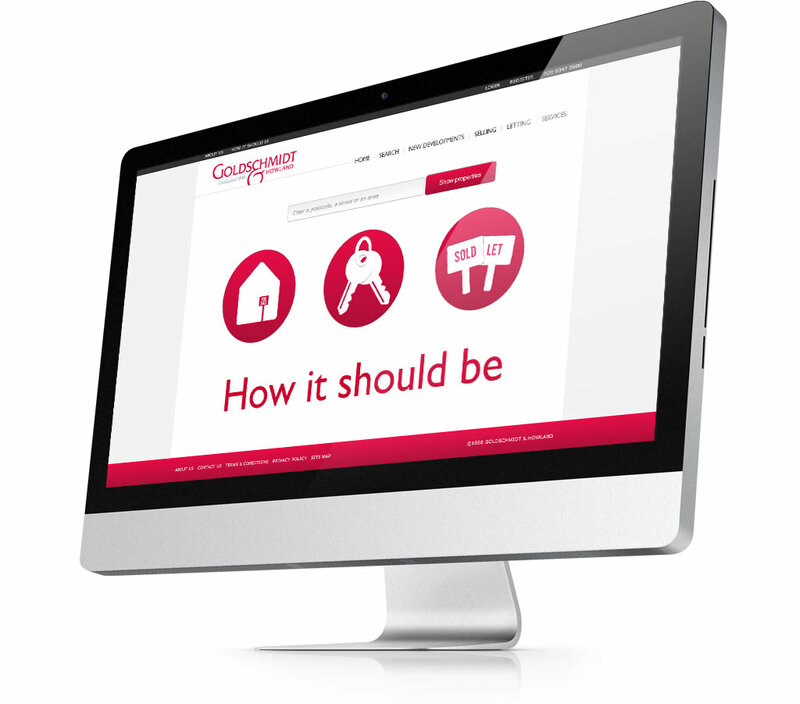 They provided a clear and concise brief to present the company and services in a welcoming, distinct and unmistakable manner and to ensure that the new site would stand out amongst the typical estate agent websites. 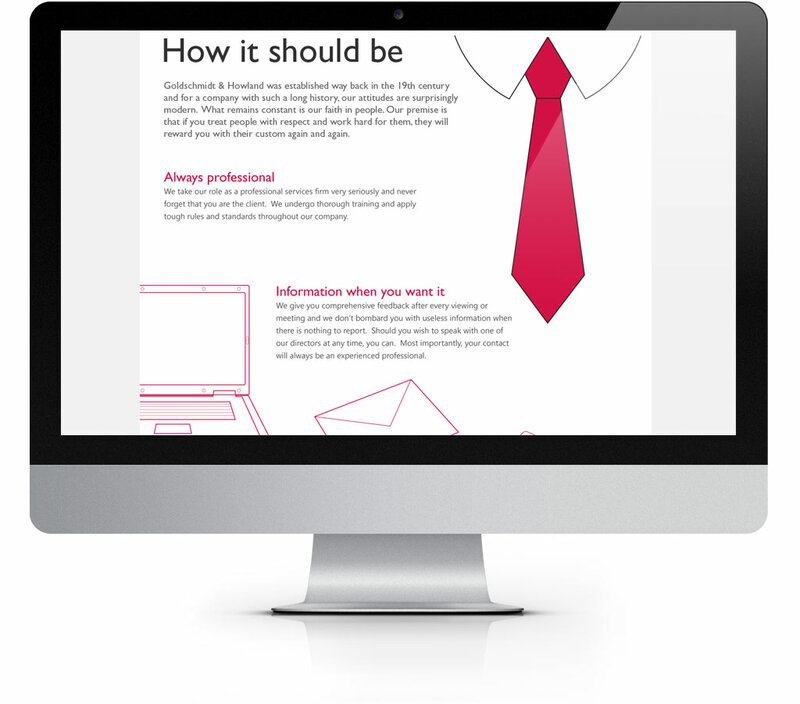 We wanted to design a website that put the customer first, with clearly signposted user paths throughout. 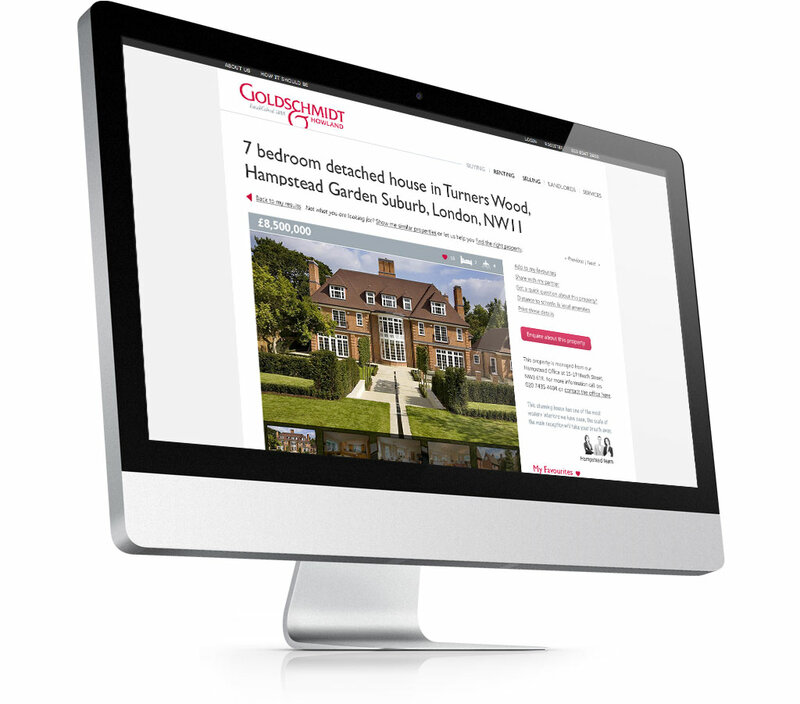 At all stages it was vital that the property details and search functions were prominent and conspicuous. Simplicity was key, while maintaining the powerful user account features. We created a clean and modern user interface, using strong typographical elements and bold use of illustration and white space. The existing G & H brand elements were preserved and updated for a modern contemporary web presence. We looked to build on the Goldschmidt & Howland celebrated 'attention to detail' by incorporating interesting and intriguing design elements throughout. 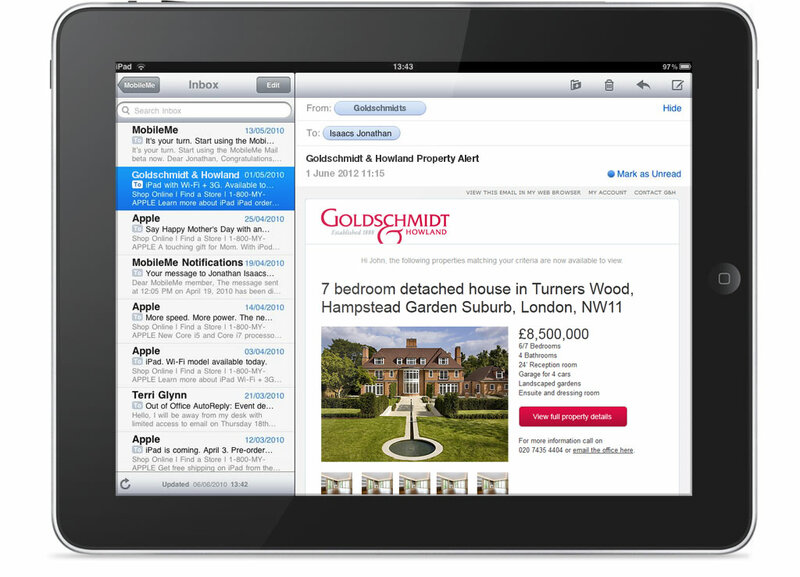 We also designed and built their email marketing communications.